The South of France and much of neighbouring Italy are playgrounds of delight. These are regions that have long evoked visions of luxury and indulgence. Now you have the opportunity to experience it all in a style befitting the occasion. From the opulence of Monte Carlo to the rich Renaissance architecture of Florence, this is an itinerary that showcases the French Riviera at its delectable best, and Italy at its most desirable. 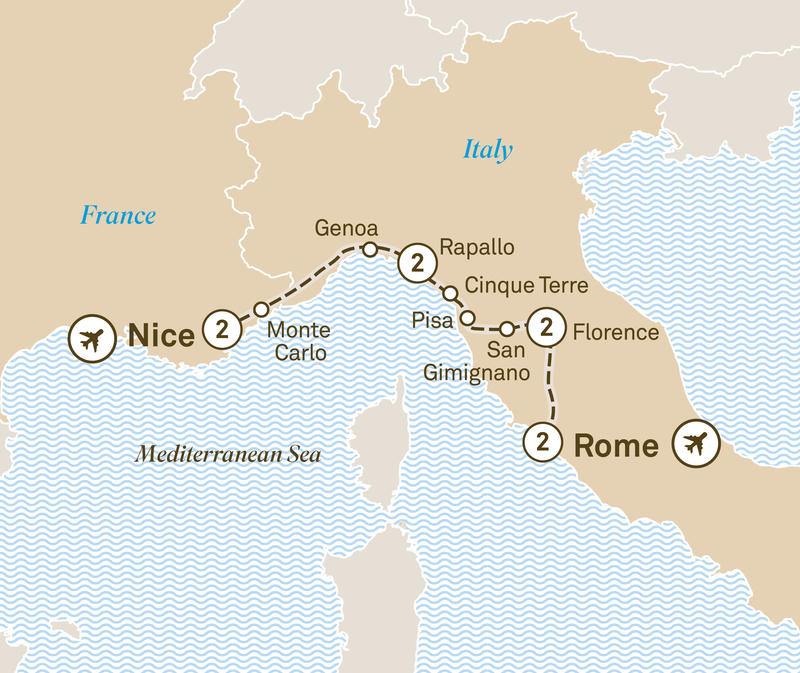 Soak up the beautiful Côte d’Azur, explore the Italian Riviera, and then journey through the rustic Tuscan countryside. Welcome to Nice, on the shores of the Mediterranean Sea, where you’ll spend two relaxing days at a magnificent property, and get to explore the charming Côte d’Azur region.